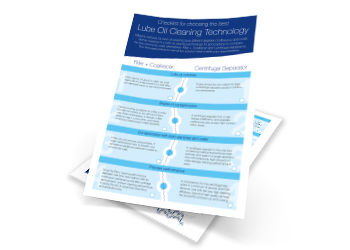 The two most common technologies for cleaning lube oil are filter and centrifugal separation. To compare the technologies side by side we have created this handy checklist. This lets you see which method that suits your process the best.